The most luxurious, high-performance lipstick, crafted with the finest ingredients and most innovating technology. A Smart Lipstick that glides in one stroke, it is the true essence of what a modern lipstick should be. Madison Avenue is a classic stop-sign red…one of nine signature shades in the collection. Strong, vibrant, bold & chic like the women who wear them. 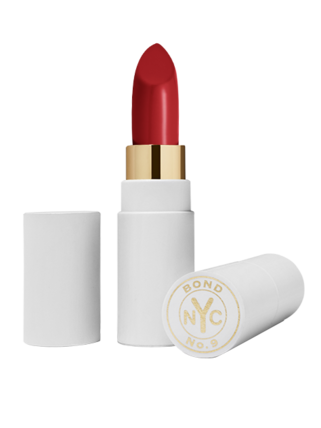 The Bond No.9 Lipstick Set includes a gold keepsake lipstick plus additional refill. 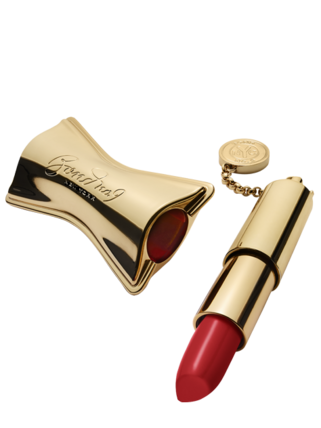 Your set arrives in a luxe white gift box that closes with the golden token charm & wrapped in Bond’s signature lip print.